Need a higher level of care? Zebra OneCare Select service delivers more capabilities. No matter what time of the day or night you have a problem, the experts are ready to help. Select service provides a technical support help desk with 24x7 availability. Want visibility to better manage assets within your environment? The cloud-based visibility service option, powered by Asset Visibility Platform, provides the location, condition, health, usage patterns and repair history of your device to enhance overall productivity within your business. 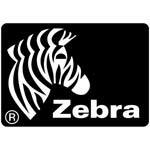 Under Zebra OneCare Select Zebra will repair, restore or replace products which are affected by functional failure, wear and tear during normal use or accidental damage for Products covered. Specific examples of items included under Comprehensive Coverage include restoring, repairing or replacing items affected by accidental damage: cracked or broken housings, plastics, displays, touch screen/digitizers, keyboards/keypads, broken or missing scan triggers, exit windows, and accessories that include styluses, hand straps, screen protectors, battery doors, as applicable.